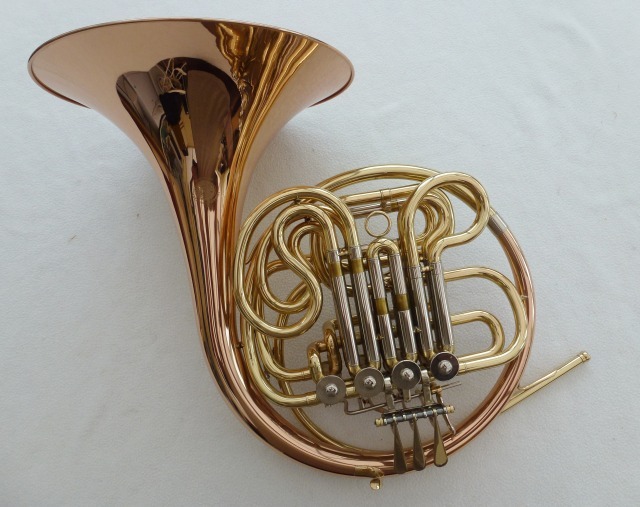 The Aquae sulis Full Double French Horn has a Rose gold bell. Mettle Linkage. Adjustable duck foot on bell which makes it easier for younger students who's hands may not be able to reach the 4 th valve. Although it is a perfect student instrument it is also ideal for intermediate or advanced players. Has an excellent dynamic range, a good tuning profile full rich tone and is very responsive in all registers. Has a bright rich tone . The performance level gives you the ability to play those quiet pieces as well as music that is written for a more louder playing, if you know what I mean. Comes with mouthpiece and Back pack case. I am so confident that you will like this horn that I am happy for anyone, provided they are in the U.K to have it on approval. 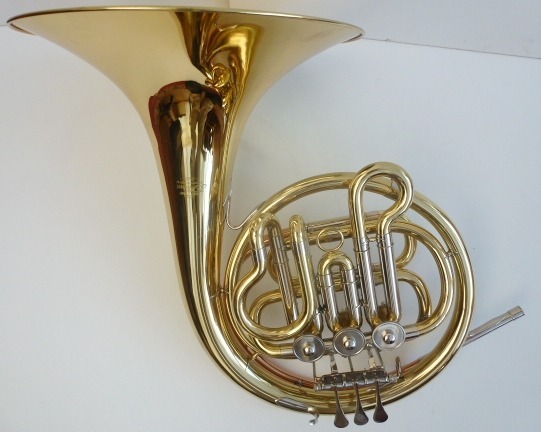 FH600 Junior French Horn. Ideal for young beginner.